Paw Patrol Deluxe Lights and Sounds Plush - Real Talking Rubble Only $12.58 (Reg. $24.99)! 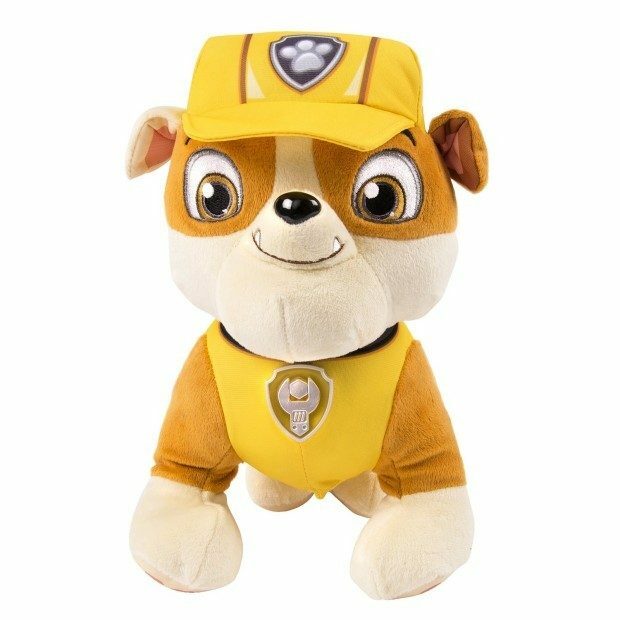 You are here: Home / Great Deals / Amazon Deals / Paw Patrol Deluxe Lights and Sounds Plush – Real Talking Rubble Only $12.58 (Reg. $24.99)! Paw Patrol Deluxe Lights and Sounds Plush – Real Talking Rubble Only $12.58 (Reg. $24.99)! If you have a Paw Patrol fan in your life, check out this great deal! You can get this highly-rated and fun Paw Patrol Deluxe Lights and Sounds Plush – Real Talking Rubble for only $12.58! Real Talking Rubble is made from soft plush materials and is full of sounds and phrases from Paw Patrol! Give Rubble’s belly a squeeze to hear him speak! Rubble’s safety helmet can be removed when it’s time for bed! Real Talking Rubble is made for Paw Patrol fans ages 3+ and includes 1 LR44 battery for operation.